Everyone knows Dots, the colorful gumdrops introduced in 1945 and sold at finer movie theaters everywhere. Safe to say not everyone knows about ZOTZ!, however. The cigar-chomping director and producer William Castle was coming off a string of fairly big hits, including MR. SARDONICUS, THE TINGLER, 13 GHOSTS, HOUSE ON HAUNTED HILL and the underrated, PSYCHO-inspired HOMICIDE, when he apparently was “inspired” by Walt Disney’s 1961 blockbuster, THE ABSENT MINDED PROFESSOR. To say “inspired” is putting it kindly. Perhaps calling this a horror movie is a stretch, too, but ZOTZ! does have a few scary scenes–at least in the family movie sense. The story involves a professor (Fred MacMurray—er, Tom Poston, that is) and an ancient, magical coin that he’s found. The coin isn’t legal tender, but it nevertheless does have some intriguing uses. Such as allowing the holder to simply point his or her finger at someone and a) cause them pain, b) make them move in slow motion, or c) kill them. It also makes a difference whether you say “Zotz!” or not. Needless to say, these monetary-induced powers must be used judiciously, and preferably by a person who doesn’t hold too many grudges. Poston is a pretty good guy, but naturally other folks wouldn’t mind having this currency for their own sinister desires. Among the usual suspects are the dreaded Russians (this being the early 60s after all). Not only do hijinks ensue, but it’s surprising that Disney didn’t sue as well. Who wants to wait until the 31st to wallow in Halloween indulgences and scary movies?! 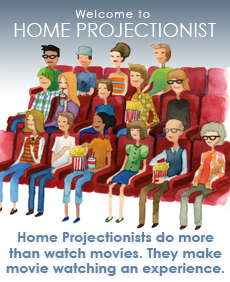 Home Projectionist doesn’t! And so we’ll have pairings of 31 Frights and 31 Bites every one of October’s 31 nights: a scary, snack size movie “trick”, and a delicious “treat” to go along with it.